When a group of doctors and professors from Nova Scotia took a trip to Cuba in 2006 to study how the country managed infectious diseases, they were struck by how knowledgeable the average person was about vaccines, and decided to conduct an informal experiment: Quiz random passersby on the streets of Havana about their basic knowledge of their country’s vaccine safety program (the process by which vaccines are created and made safe) and their personal immunization records. “Without fail, everyone knew exactly what immunizations they already had, the scientific evidence behind them, and at what ages they needed to be updated,” says John Kirk, professor of Spanish and Latin American studies at Dalhousie University, whose research focuses on Cuba’s health care system. The research team also asked the Cubans their opinion on anti-vaccine movements in countries such as Canada and the U.S. “They were dumbfounded. They thought we were joking,” Kirk recalls. “I guarantee you won’t meet a single person there who has doubted vaccines for a moment. For Cubans, vaccines aren’t only seen as a basic human right, but also as an obligation.” Upon their return, Kirk and his colleagues wrote an article for the Canadian Journal of Infectious Diseases, in which they conclude Canada can learn a great deal from the Cuban approaches to vaccinations and health care. The numbers say it best. According to the World Health Organization (WHO)’s 2014 global summary on vaccine-preventable diseases and academic studies, Cuba has not had a single reported case of measles since 1993, nor rubella since 1989. Five cases of mumps have been reported since 2000; the last one was in 2010. And pertussis hasn’t been reported since 1994. In contrast, Canada has had 2,203 cases of measles, at least 1,529 cases of mumps, and 21,292 cases of pertussis reported since 1990. At a time when new cases of preventable diseases are regularly cropping up and a loud–albeit small–contingent of “anti-vaxxers” keeps getting louder, it’s a good time to figure out how to change those numbers. Granted, Cuba’s population is around one-third the size of Canada’s, but Dr. Noni MacDonald, professor of paediatrics at Dalhousie University and consultant to the WHO’s committee on vaccine safety, who went on the research trips with Kirk, says one of the most innovative aspects of its public health system is its emphasis on vaccine education from an early age–something that’s lacking in Canada. From the time kids start school through to graduation, vaccination is consistently incorporated into courses and class discussions. Kirk attributes Cuba’s immunization successes to the higher number of doctors in the country and their deep relationships with community groups and the government. There is approximately one doctor for every 200 Cubans, compared to one doctor for every 476 Canadians. 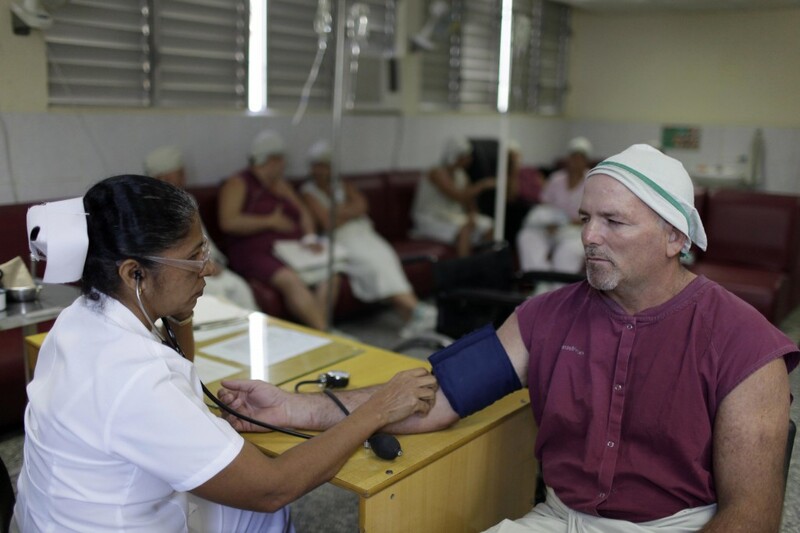 Cuba’s Family Doctor and Nurse program, which started in 1984, lies at the heart of the country’s health care system. Their mandate is geared toward preventive–instead of curative–medicine, as they cannot afford to treat illnesses as they come up. The program makes a point of meeting with patients twice a year and keeping meticulous immunization records. They are directly involved with education campaigns in schools, and students get a checkup every month. Kirk says this closeness with medical staff fosters trust and builds personal relationships between doctors and patients.